We offer state of the art Laboratory Furnaces which score on quotients of quality, efficiency, reliability, longevity and optimum performance and usage. Moreover, they are developed as per international standards and properly tested on quality parameters. 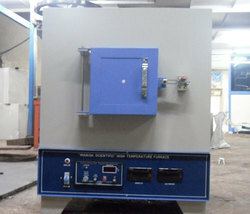 We are a manufacturer, supplier, and dealer of Laboratory Furnaces. We offer our clients a diverse range of Laboratory Furnaces. Utilized in different thermal applications, these furnaces possess refractory insulation and high-temperature thermal processing units. 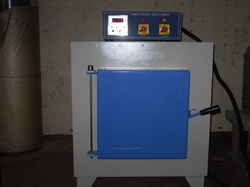 These furnaces are offered in different grades, as per the requirement of clients. • “MIGHTY INSTRUMENTS” High Temperature Muffle Furnace are designed to meet the requirements of varies customer in industries , educational research fields etc.